On the bright side, you can earn credit card perks such as frequent flyer miles if you pay your taxes with your credit card. But is paying small business taxes with a credit card really a smart move? No one likes paying taxes. But like it or not, your business has to stay current on its payments to Uncle Sam. Although credit cards can mitigate the pain by offering rewards and incentives like frequent flyer miles, is it a good idea to pay your taxes with plastic? The answer is more complicated than you think. On the one hand, paying your taxes with a credit card can be a smart business move for your company. On the other hand, it can have some disastrous consequences, especially if your decision lacks the critical elements of planning and restraint. Here are some of the things you need to consider before you decide whether it's right for you. Tax-related expenses comprise the majority of small business credit card debt and to be fair, there are some good reasons for using a credit card to pay your taxes. It's difficult to argue with the convenience credit cards can offer. Since many credit card companies offer significant rewards for usage, it's easy to quickly rack up rewards when you use the card to pay your tax bill. 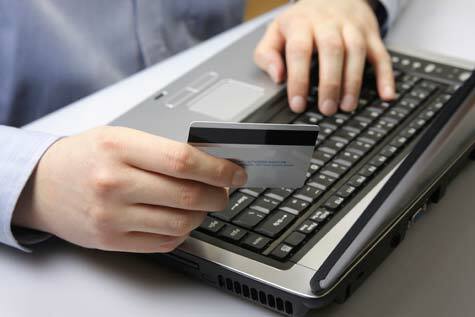 Many business owners also prefer to use credit cards as a method of managing cash flow. However, using a credit card to defer the payment of a tax bill is never a good business practice. Taxes should be considered a current business expense. At some point you will have to pay the balance on the credit card, but by then you will have incurred additional tax expenses, leaving you holding the bag for payments from multiple tax periods. If you are unable to pay the full amount of a tax payment, it might make more sense to withhold payment from the IRS rather than paying with a credit card. The reason boils down to a simple comparison of interest rates. IRS late payment penalties are based on interest rates set at approximately 8%. The average interest rate of a small business credit card is 14%. In other words, a decision to owe the IRS instead of your credit card provider could result in 6% interest savings. Although the IRS can ultimately place a tax lien on your company, if you plan to pay the balance in the near future it's an option worth discussing with your accountant. Before you decide to pay your taxes with a credit card, it's important to thoroughly understand the reason for your decision and have a strategy for paying the tax bill – regardless of whether it is owed to the IRS or your credit card provider. If your income is cyclical, paying a quarterly tax bill on credit could make a lot of sense. But if you find yourself in a cashflow crunch for no apparent reason, you need to investigate the situation further before you do anything. At all costs, you want to avoid the combination of multiple tax period debt in a company where cashflow is spiraling out of control. What's your experience with paying small business taxes on a credit card? Leave a comment below.